Choosing a high school in New York City can be a daunting task, with more than 700 programs to choose from in 400-plus schools throughout the five boroughs. Now, a new app helps students and families simplify their search by focusing the choice process on a personalized list of 20 best-fit schools. The NYC High School Application Guide is a free mobile app and website that uses information about students’ interests, current middle school, and willingness to commute to provide a customized list of high school recommendations, with an emphasis on higher-performing schools that have a strong track record of graduating students in four years. To get their personalized list, students answer six questions, entering their home address and interests in academics, sports, and extracurricular activities. The search algorithm considers students’ likelihood of admission, given geographic priorities and historic demand for the school, and focuses on schools with high graduation rates. 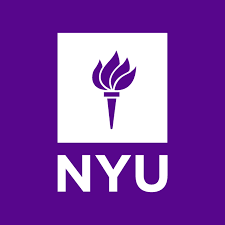 Designed with student users in the mind, the NYC High School Application Guide was developed by The Heckscher Foundation for Children with guidance from school choice researchers at New York University and a former New York City Director of High School Admissions. Each year in New York City, nearly 80,000 middle school students participate in the ritual of choosing and applying to the City’s public high schools, ranking up to 12 high school programs they would like to attend. A centralized system matches each student to one school; this past spring, 72 percent of students were matched with one of their top three choices.